JANE AUSTEN'S MOTHER TELLS ALL!Jane Austen's Mrs. Bennet, mother of five difficult teenage daughters, is silent no more. 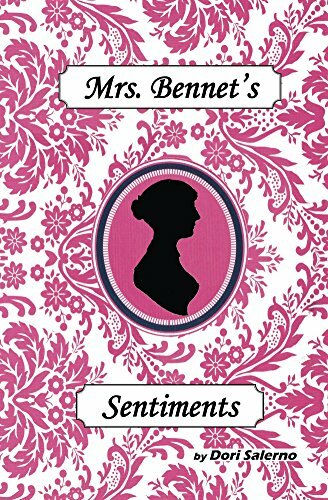 Those who grew up enjoying Jane Austen's "Pride and Prejudice" will delight in "Mrs. Bennet's Sentiments". Tired of having her u />Tired of having her ungrateful girls roll their their eyes at her and watching her husband return to his man cave, Mrs. Bennet finally tell all. "Mrs. Bennet surprises them all." "She defies the conventions of the day -- proving the old adage 'Mother knows best'".